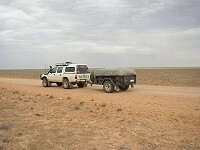 "The place" for 4WD info in Perth, Western Australia! Trips Archive, Photo Gallery, & General 4x4 Info. What's that Skip? Your now running a Prado D4D? Yes, it's true. 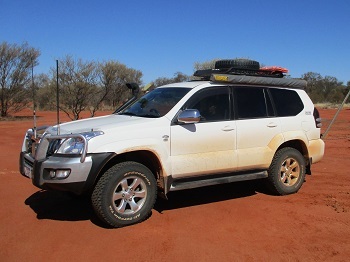 Skip now runs a 2009 Toyota Landcruiser Prado GXL D4D Auto. 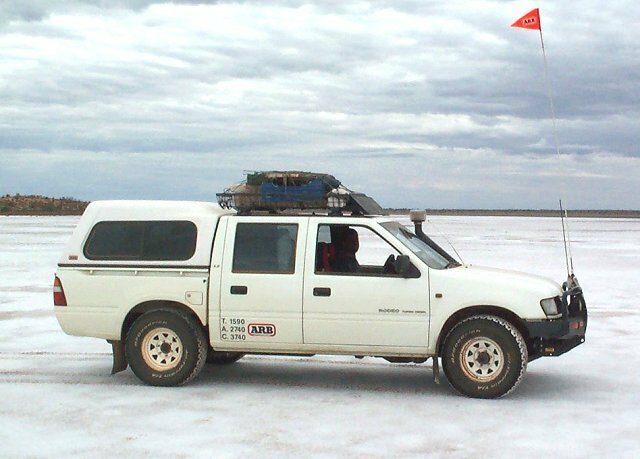 After having such a good run with previous Toyotas, and wanting the power and economy of the D4D engine, combined with maximum touring range from the standard 180 litre fuel capacity, the Prado 120 series was an easy choice. Despite being purchased at 4 years of age, and with 120000k on the odo, it looks and drives like brand new. 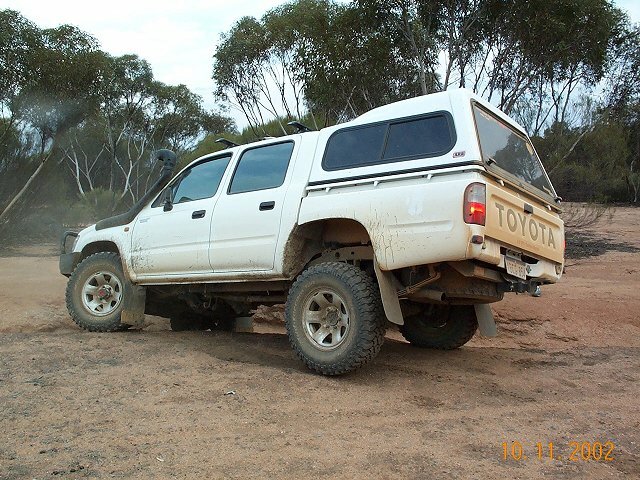 Click here to see the vehicles details page, and all his previous 4WD's. 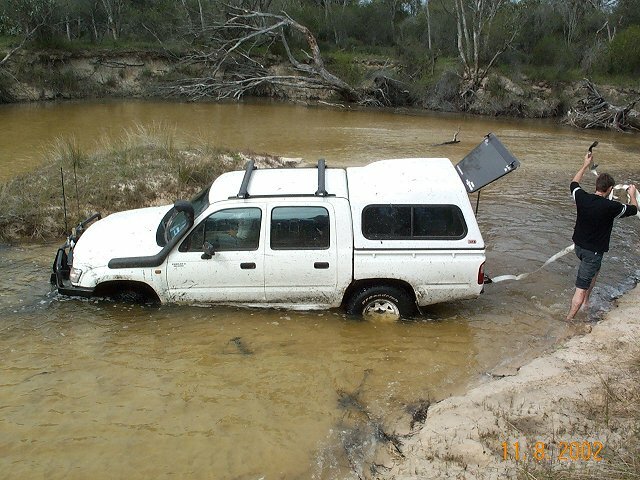 Skip enjoys watching Pat Callinan's 4x4 Adventures... click here for info. Nuclear Waste Dump? Should Western Australia be used as a nuclear waste dump? Click here to read the facts. This year's 4WD Events - Click on this link to view a calendar of events for Perth 4WD, camping & boating shows. Fuelstar fuel catalyst - Skip had one on his Hilux. Do they work? Do you really get better fuel economy and more power? 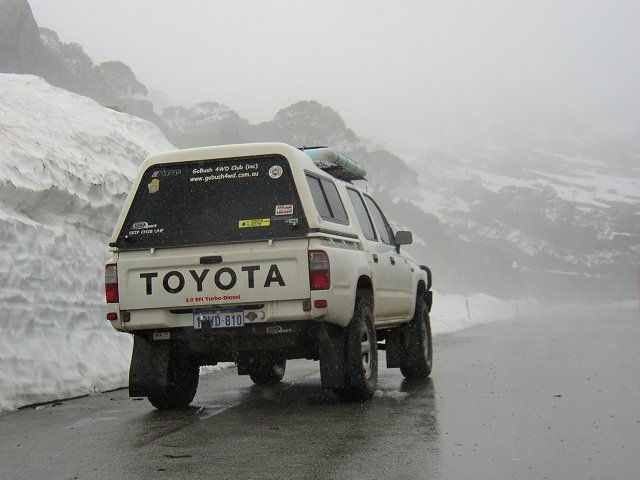 Click here to read my report on how the installation of a Fuelstar went in "Tonka" (my Hilux). BF Goodrich tyres, Mud Terrain T/A-KM series. www.bfgoodrichtires.com - My Hilux ran 265/75R16's, which have a rolling diameter of ~32 inches. Yes, I used to run 255/85R16's (33 inches), but decided to go back to the 32's. Read about my choice of tyres and sizes. My Kia Sorento had 17" wheels and much less clearance in the wheel arches, but BFG did not make a size to suit, so I ended up putting on Mickey Thompsons. Read here about my choice of tyre. The Pajero rans 16x7 rims, and after an excellent run with the Mickey's, I put stuck with the Mickey ATZ's, but went to the more agressive 4 rib design. It gave excellent traction, zero punctures, but were a bit noisy. So, now, the Prado - it came with Michelin tyres on it, which not very agressive at all, and so I fitted it with BFG All-Terrain 265/70R17's. 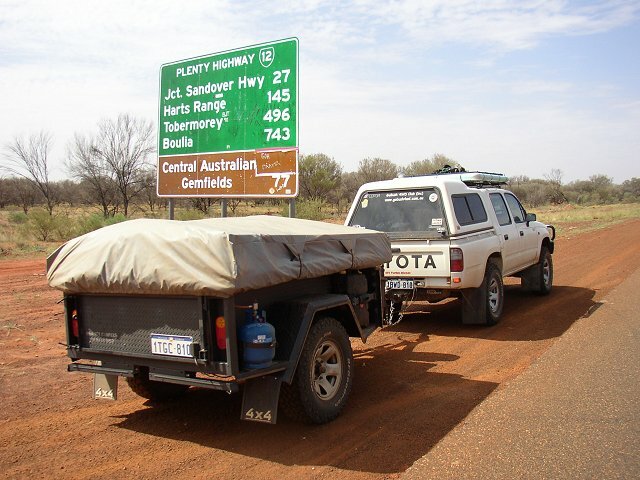 Will Skip ever get to Cape York? Or will he settle on Queensland instead? Notice: This website and all its contents including images are copyright to Alan. These pages are optimised for viewing at 1024x768 resolution.